At first, I was a little skeptical of the narrative that Justice Brett Kavanaugh’s confirmation process could send the House and Senate moving in opposite directions. Usually in politics, a rising tide lifts all boats — so whichever party benefited from the Supreme Court nominee’s confirmation would expect to see its fortunes improve in both its best states and districts and its worst ones. But a House-Senate split is exactly what we’re seeing in the FiveThirtyEight forecast. Democratic prospects in the Senate are increasingly dire, having fallen to about 1 in 5. Indeed, it’s been hard to find any good news for Democrats in Senate polling lately. In the House, by contrast, their opportunity is holding up relatively well. In fact, Democrats’ chance of taking the House has ticked back upward to about 4 in 5, having improved slightly from around 3 in 4 immediately after Kavanaugh was confirmed. And while district-by-district House polling has been all over the place lately, Democrats’ position has improved slightly on the generic congressional ballot. On the surface, you might reason that House and Senate battlegrounds aren’t that different from one another. Yes, the most competitive Senate races this year are in really, really red states. Specifically, the average competitive Senate race, weighted by its likelihood of being the decisive state in determining the majority according to FiveThirtyEight’s tipping-point index, is 16 percentage points more Republican than the country overall.1 But the average competitive House district is also pretty red: 8 points more Republican than the country overall, weighed by its tipping-point probability. The House and Senate battlegrounds really aren’t that much alike. In several important respects, in fact, they’re almost opposite from one another. For example, House battlegrounds are more educated than the country overall, while Senate ones are less so. The Democrats’ map in the House is fairly robust, because they aren’t overly reliant on any one type of district. (This stands in contrast to the Senate, where most of the battlegrounds fit into a certain typology: red and rural). While House battlegrounds are somewhat whiter, more suburban and more educated than the country overall, there are quite a few exceptions — enough so that Democrats could underperform in certain types of districts but still have reasonably good chances to win the House. This differs from Hillary Clinton’s position in the Electoral College in 2016, in which underperformance among just one group of voters in one region — white working-class voters in the Midwest — was enough to cost her the election. *Weighted by tipping-point probability, which is the likelihood that a particular state or district is decisive in determining majority control. Tipping-point determinations are as of 12 p.m. on Oct. 13. One obvious but overlooked difference between the House and the Senate is that Democratic incumbents have very little exposure in the House but a ton of it in the Senate. For instance, there’s a 46 percent chance that the tipping-point race in the Senate will be one featuring a Democratic incumbent, but only a 6 percent chance for the House. Just the reverse is true for Republicans; they have tons of vulnerable incumbents in the House but few in the Senate. What this means is that, other factors held equal, things that reduce the incumbency advantage will tend to hurt Democrats in the Senate but help them in the House. If, for instance, the Kavanaugh hearings turned the public further against incumbent politicians in both parties, that could contribute to the increasing divergence we’re seeing between the House and Senate forecasts. Geographically, the competitive House races are almost evenly divided between the four major Census Bureau regions. This is part of what makes Democrats’ map robust: Even if they completely flopped in one of these regions, they could still narrowly win the House by performing to the model’s expectations in the other three. Note, however, that relative to population, the South is slightly underrepresented among the competitive House districts — it represents 37 percent of congressional districts overall but 27 percent of the competitive ones. That’s probably a good thing for Democrats because their coalitions in the South tend to rely on racial minorities and on younger voters — groups that don’t turn out as reliably in midterms as they do in presidential elections. By contrast, there’s a 41 percent chance that the tipping-point state in the Senate will be in the South. And whereas the Northeast is fairly important to the House map, with a number of competitive races in New York, New Jersey and Pennsylvania, there’s almost nothing interesting happening in the Northeast on the Senate side of the ledger. * Weighted by tipping-point probability, which is the likelihood that a particular state or district is decisive in determining majority control. For the Senate, statistics are compiled on a district-by-district basis but weighted based on the probability that the state will be decisive to Senate control. Tipping-point determinations are as of 12 p.m. on Oct. 13. † At least 10 points more Democratic or Republican than the country overall. It’s true that House battlegrounds are Republican-leaning — but for the most part, they’re Republican-leaning and not much more than that. Only 18 percent of competitive House races have a partisan lean of R+10 or better for the GOP, for instance. By contrast, weighted by their importance to determining the outcome of the Senate, 63 percent of competitive districts are at least R+10. Romney-Clinton and Obama-Trump districts — that is, districts that split their vote between the past two presidential elections — are quite important in the House but not really a factor in the Senate. Finally, here’s what competitive districts look like based on three characteristics that are increasingly predictive of voting behavior: race, education and urbanization. *Weighted by tipping-point probability, which is the likelihood that a particular state or district is decisive in determining majority control. For the Senate, statistics are compiled on a district-by-district basis but weighted based on the probability that the state will be decisive to Senate control. Tipping-point determinations are as of 12 p.m. on Oct. 13. I’ve defined high-education districts as those where at least 35 percent of the adult population has a bachelor’s degree. By that measure, 28 percent of congressional districts in the country overall are highly-educated. But 37 percent of the House battleground districts are highly-educated. By contrast, only 13 percent of the districts that are most important to Senate control have high education levels. Racially, both House and Senate battlegrounds are whiter than the country as a whole, but the skew is worse in the Senate: 38 percent of districts most important to Senate control are at least 80 percent non-Hispanic white, compared to just 23 percent of districts in the country overall. Lastly, competitive House districts are concentrated in the suburbs and exurbs (defined based on population density), which make up about half of congressional districts overall but closer to two-thirds of competitive ones in the House. Suburban and exurban districts are quite unimportant to the Senate, however, where the key races are disproportionately based on rural states or in states such as Nevada with a mix of urban and rural areas with little in between. I’m not going to go on for too much longer because I hope those numbers really speak for themselves. 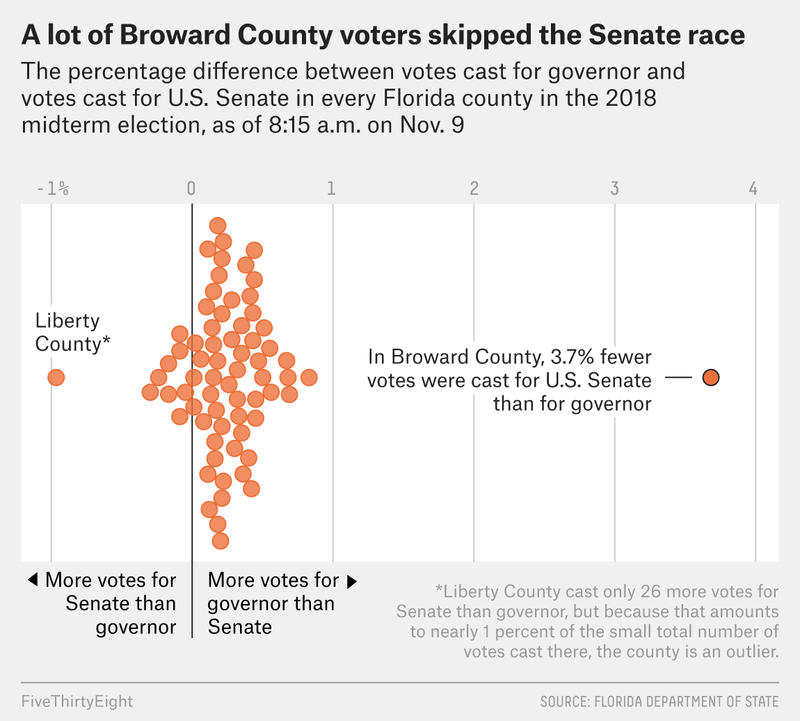 I suppose I had some intuition about how different House and Senate battlegrounds are different from one another — but that intuition didn’t match how sharp the differences are in the data.